Got news yesterday evening that there was a Killdeer and an Upland Sand on Flores, so 12 of us decided to twitch Flores today. 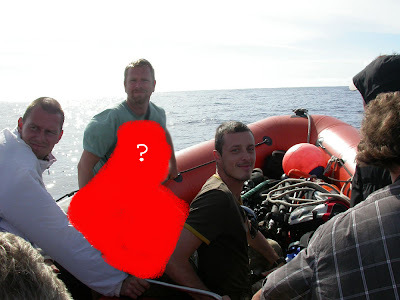 Simon chartred a boat for us from 12 to 19 and we agreed to meet in harbour at 11:30. At about 11:20 news broke that the French machine Pierre had found a White-eyed Vireo on Pico. Third for Corvo and third for the Western P! After a few minutes of panic (at leat for me) everyone agreed on sticking to the plan and doing the Flores trip no matter what. So at 12 the twelve of us we left on our chartred boat. 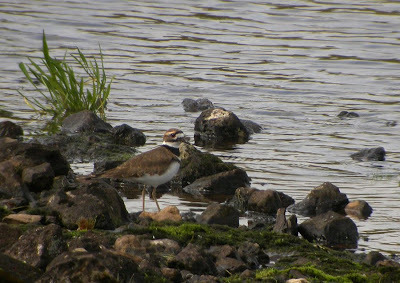 In Santa Cruz we had two taxis waiting for us and immediately went up to Lagoa Rasa and the Killdeer. 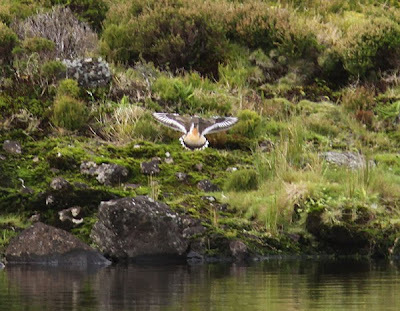 Small lake and easy to scan so we found the bird fast. 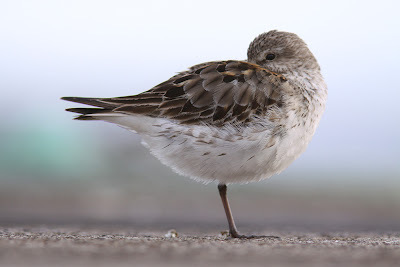 What a stunning wader! 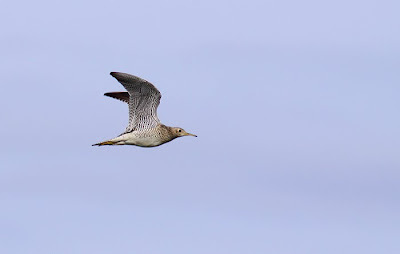 Enjoyed it on ground and in flight for half an hour or so before we continued to Ponta Delgada and the Upland Sandpiper along the road out to Ponta do Albarnaz. The Upland Sand was soon giving excellent views in flight, but was a bit tricky to spot on the ground as it was really flighty and nervous. 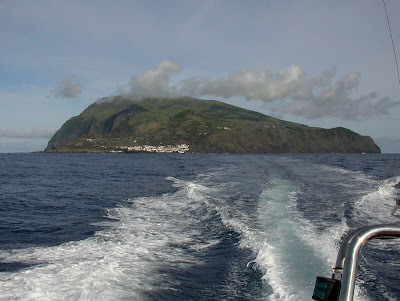 After enjoying the bird for an hour we walked back to Ponta Delgada and had lunch at a bar. 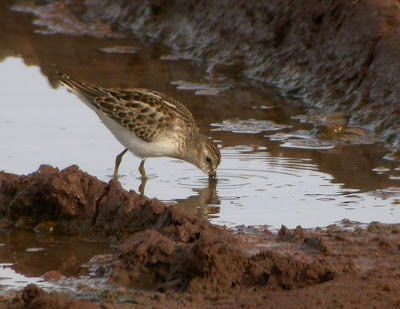 Some of the guys walked over the old soccer field and bumped into a White-rumped and a Least Sandpiper. While we were having our very late lunch we got news about a Double-crested Cormorant in Lajedo on the other side of the island. Being short on time we never went for the bird as we would never have made it to the harbour in Santa Cruz to 18:00 :( Instead we had a look at the waders before our taxis came and took us to Santa Cruz. 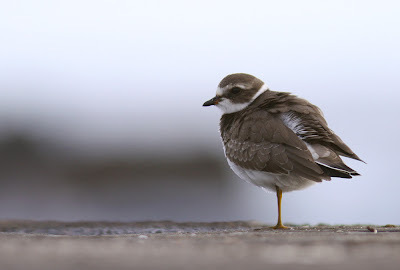 In Santa Cruz harbour, close to the boat, we had two Semi-p Plovers and another White-rump giving stunning views. Other stunning views there was Vincent Legrand showing how you do to get the best pictures of whatever might turn up. 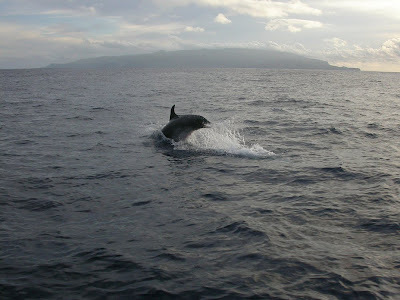 On the way back we got company by some dolphins aound the boat for a while. Stunning creatures and amazing to get to see them just a few m away! That was one of the absolute highlights during the day for me! Tomorrow we will try to relocate that Vireo on Pico. Wish us good luck! 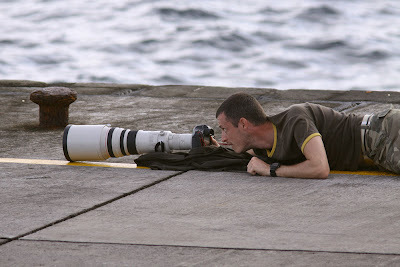 Fantastic to read as an armchair birder unable to travel like you; thanks for the riveting blog! Nigel T.
Nice twitching, just go for em. I saw an upland twice, a really nice fellow. Good hunting tomorrow. This week will be fantastic back home, in Sweden. White-eyed Vireo or some common Yanky waders get a grip chaps. If its done one tomorrow you'll have egg on your mush.